Sibelius did not leave for Vienna until the 19th October 1890. He had not managed to arrange a teacher. The fantasies of instruction by Brahms or Bruckner proved futile. Neither of them accepted him as a student. He became a private student of Robert Fuchs, who was teaching at the Vienna Conservatoire, but the deadline for registration at the Conservatoire had already passed. He could not become a regular student of the Conservatoire, and his works were not performed at the student concerts. However, Sibelius was allowed to play as an extra violinist in the student orchestra of the Conservatoire. In this way he became acquainted with young musicians who were studying in Vienna, such as the violinist Carl Frühling and the Romanian cellist Dmitri Dinicu. Sibelius also besieged the composer Karl Goldmark, who had become popular with his opera, The Queen of Sheba. Goldmark agreed to see Sibelius at the beginning of November 1890. He was willing to become Sibelius's teacher on the basis that Sibelius would bring him works for evaluation as they were completed. Sibelius’s teacher, Fuchs, could help with the instrumentation, and Goldmark became an important stimulus to the aspiring composer. Sibelius was pleased with his teachers and with Vienna. He attended performances of Wagner's Tristan and Isolde and praised the standard compared to the operas he had attended in Berlin. Another great event was the first performance of a new version of Bruckner's third symphony. Sibelius now regarded Bruckner as "the greatest living composer", while he continued to buy scores by Beethoven and Wagner. He sought the company of musicians for educational reasons as well, learning about the properties of the cor anglais from an oboist called Heber. Away from his studies, Sibelius partied until the early hours with his new friends. He also gambled, but tired of gambling after six months. 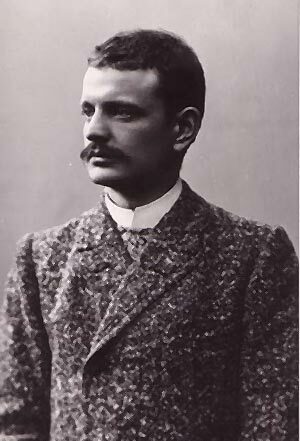 "Vienna is all laughter and waltzes," Sibelius wrote joyfully to his family at home. But once again, Sibelius was living beyond his means. He was presented to the singer Pauline Lucca, the wife of an immensely rich baron, and soon the young composer was spending his evenings at receptions given by the Lucca family. To improve his financial situation he applied for a post as violinist with the Vienna Philharmonic. However, Sibelius suffered from stage fright and the jury considered him too nervous for an orchestral musician. The year in Vienna was crucial for Sibelius’s development. Goldmark urged him to work on his themes with more consideration than before. He advised his student, for the time being, to accept more influences from the classics and fewer from Berlioz and Wagner. At the same time, Sibelius began to study Finnish folk music and the rhythms of Kalevala with a view to getting more originality into his works. He first applied his new style in the song Drömmen (The Dream), which he composed for a poem of Runeberg. His drafts for the first symphony started to develop in February. All that remains of them are the Overture in E major and the Scène de Ballet, which was intended to be the second movement. "The overture is in my head," Sibelius wrote to Aino on the 10th February. "The other theme is you: it is melancholy, feminine but passionate." The Scène de Ballet had a different, more gloomy kind of passion. Sibelius later told Paul that he had got the inspiration one night in a Viennese "brothel where the whores were dancing". In April 1891, the Overture and the Scène de Ballet were performed by the orchestra of Robert Kajanus at a public concert. Kajanus told the composer that they received no applause at all, even if Kajanus thought they sounded marvellous. Yet Sibelius's self-confidence was increasing. "I now master the orchestra and do with it what I want and what I consider true," he wrote self-confidently to Adolf Paul. The Finnish critics found the "modernity" of the compositions odd. "Frankly, we did not have time to find out what the artist actually wants to reveal in his work," the critic of Päivälehti wrote on the 24th April concerning the Overture. The Scène de Ballet left Oskar Merikanto from Päivälehti "completely at a loss". The Overture and the Scène de Ballet remained unconnected works, as Sibelius gave up his plan for a symphony. He now started to compose an orchestral work around the the Kullervo saga in the Kalevala epic. The work was interrupted by the composer falling ill again, which led to medical treatment and, it would seem, an operation in an expensive private hospital run by a certain Doctor Eder. Sibelius wrote that the doctor removed a "stone". After this, his condition improved, and the chronic ill-health of his student years was a thing of the past. His relatives in Loviisa had to collect money from friends to get him out of the Viennese hospital in June 1891, when his studies had already been completed. Sibelius travelled to Berlin, where he spent all his travelling funds celebrating with his old student friends. A new remittance, which the family had collected with difficulty, finally enabled him to return to Finland. The first thing Sibelius did on returning to his homeland was raise a loan.